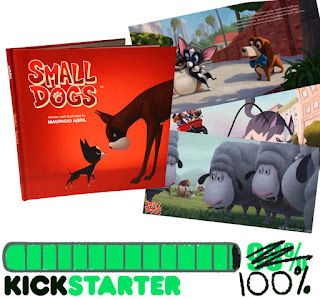 MauSketch - The Art of Mauricio Abril: SMALL DOGS Kickstarter 100% Funded! 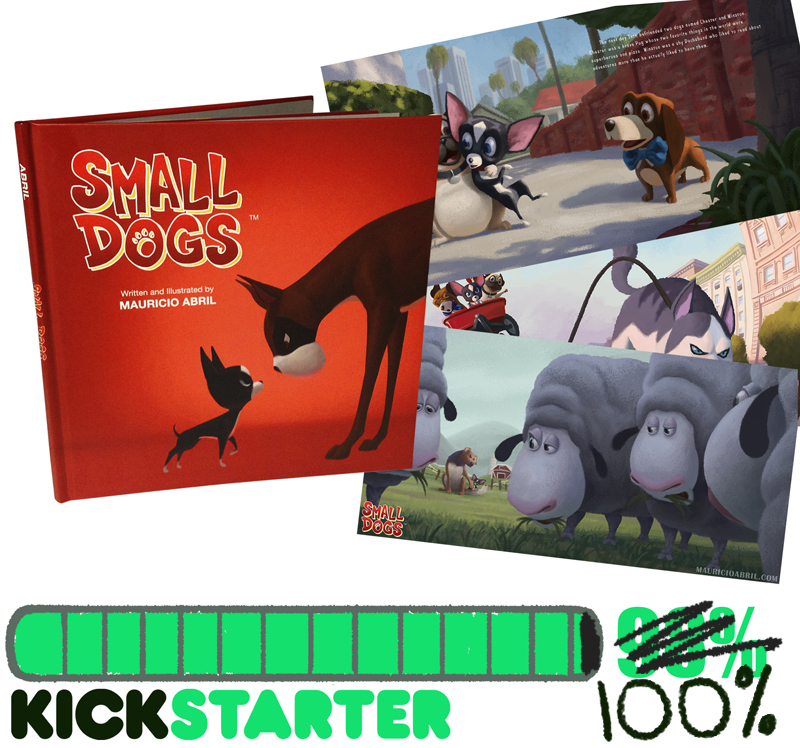 SMALL DOGS Kickstarter 100% Funded! HAHA in between the time I made this image and was about to post it, my Kickstarter campaign got FULLY FUNDED! Seriously THANK YOU FOR SUPPORTING AND/OR SHARING IT! The way Kickstarter works is now any additional funds raised will go toward stretch goals which are ways to enhance the existing rewards or add new ones. In the mean time thank you again for your support and for those that haven’t yet pledged, if you do now you’re guaranteed to get the book. Cheers!